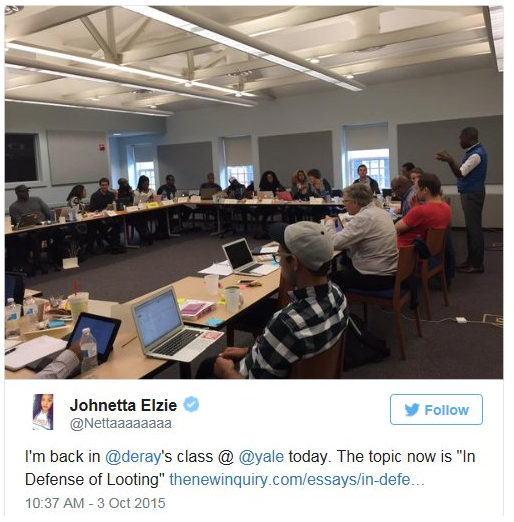 Here’s DeRay at Yale, teaching “In Defense Of Looting”, his workshop on justifying looting as a political tool. 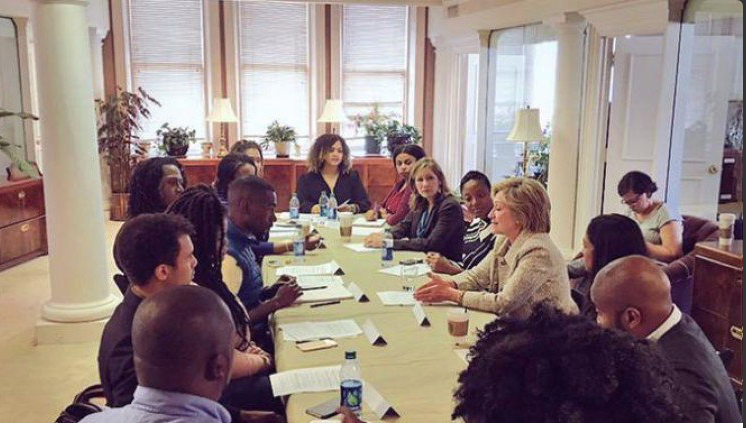 Here’s DeRay meeting with Hillary Clinton. 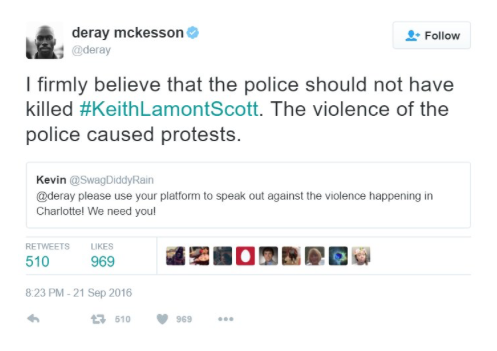 The Democrats have endorsed the Black Lives Matter movement and should own its results.